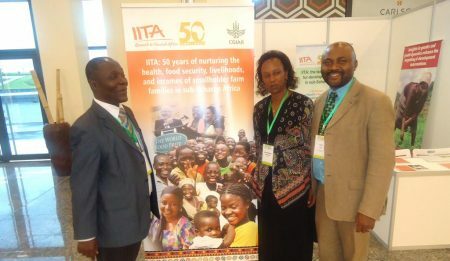 IITA organized a workshop on validation of the revised and harmonized standards for healthy cassava plant materials production, control, and certification. 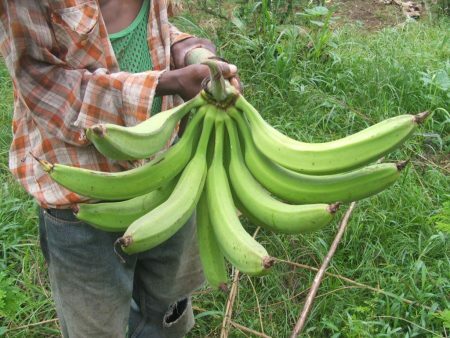 Researchers studying the morphological (structure and form) diversity of plantain in the Democratic Republic of Congo (DRC) have developed an innovative way to describe plantain diversity using descriptors based on performance, grouping them into main, secondary, and rare descriptors. 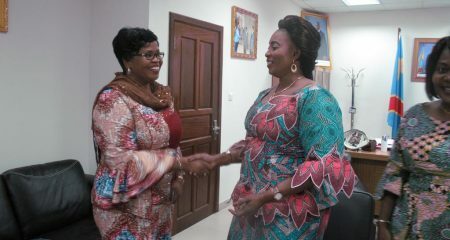 IITA Women’s Group representative Charlotte Sanginga, accompanied by Valérie Tembo, President of IITA Women’s Group Kinshasa Station and member Michèle Kimpwene Sanginga, paid a courtesy visit to Her Excellency, Minister Chantal Safou and members of her cabinet in the ministerial office, Kinshasa on 5 February. 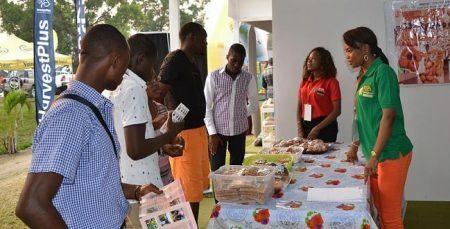 The IITA Kinshasa Youth Agripreneurs (IYAKIN) participated in the second edition of the International Agricultural Fair of Kinshasa (FAIKIN), 18-27 August. 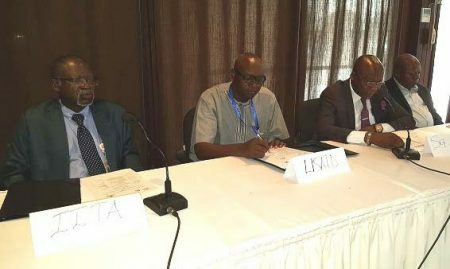 The project tagged “Preventive actions against the propagation and expansion of Cassava Brown Streak Disease (CBSD) in the Democratic Republic of Congo”, has successfully organized a work plan development workshop on 20—21 April, at Mbanza-Ngungu, 150 km West of Kinshasa. 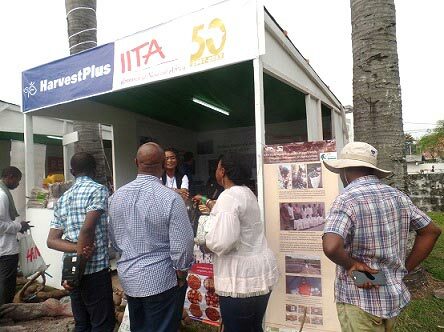 The cassava community processing centers (CCPCs) are currently stimulating the economy and creating employment for the rural population of Kavumu village, in the Kabare territory of South-Kivu Province of the DR Congo. 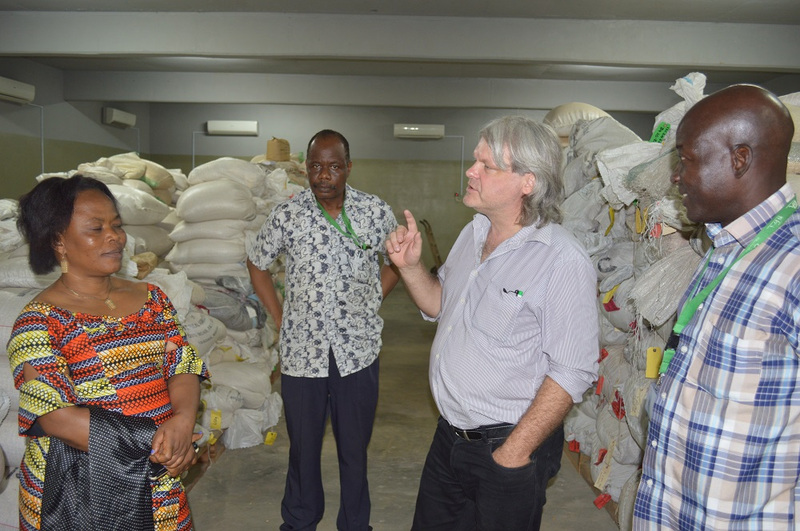 Until the introduction of the CCPC in early 2015, there was a high level of unemployment in Kavumu community.